CARE Australia (CARE) is committed to protecting and securing the privacy and confidentiality of your personal information. If at any point you want to know more about our policy, or are worried about your own details, or have ideas on how we can improve our practices, do let us know via info@care.org.au – full contact details are below. Importantly, CARE is bound by the Privacy Act 1988 (Cth) (the “Privacy Act”) and the privacy provisions of other applicable legislation. In particular, CARE must adhere to the Australian Privacy Principles in relation to collecting, holding, using, disclosing, securing and allowing access to your personal information. Thank you for supporting CARE and taking time out of a busy day to read the following. We may also collect and hold sensitive information of our staff, Board members and volunteers or prospective staff and volunteers, including completed police checks and medical and dental information. There’s a number of ways we collect data. CARE usually collects your personal information directly from you when you provide it over the phone, through our website, by email, through an online form or through a donation coupon when making a gift to CARE. We use third parties to fundraise on our behalf including telemarketing. These third parties will also collect your personal information directly from you when you provide it over the phone, through our website, in person or by email. This may also include workplace giving. Crucially, third party organisations based in Australia are also bound by the Privacy Act and Australian Privacy Principles. If someone makes a donation on your behalf, and asks that you receive information about their gift, we will collect the personal information they provide about you. We also collect personal information from public records, such as telephone directories, lists and third party surveys, which we purchase for direct marketing and telemarketing, which you have agreed to be on. When it is necessary to collect your personal information, including from a third party, we will take such steps as are reasonable in the circumstances to ensure that you are notified in compliance with the Privacy Act. CARE will not collect, hold, use or disclose sensitive information (including health information or criminal records) about you unless you give us your consent to do so, or where required by law. If you wish, you can remain anonymous or use a pseudonym when you contact us and if you make a donation. We will respect your anonymity. If you choose not to provide us with your personal information, we may not, for example, be able to provide you with an official tax-deductible receipt or a letter of thanks, or assist you fully with your query or complaint. In order to understand how people arrive at the CARE website and related social media platforms and how they use it, we rely on cookies provided by third parties. This enables us to assess the effectiveness of our online advertisements. We may also use your browsing history on the CARE website to send related messages on our work and appeals. Cookies do not reveal personal information, such as your name, address, phone numbers or email address. You can adjust your browser to disable cookies, but this may restrict your ability to access certain areas of our website. CARE understands the importance of protecting your personal information from misuse, loss or unauthorised access or use and will take all reasonable steps to ensure that your personal information is secure. CARE will destroy or de-identify your personal information when we no longer need it for the purpose for which it was collected, unless the law requires otherwise. If you send us your personal information when we don’t ask for it we will determine whether or not the information is related to one or more of our activities. If the information is not relevant to what we do, we may destroy or de-identify the personal information if it is lawful and reasonable to do so. CARE relies on the generosity of our donors to carry out our mission. Therefore, we may also use your personal information for direct marketing purposes to promote our upcoming events, appeals, projects or other activities. However, where we do use your information for this purpose, we will always provide a simple means for you to opt out of receiving these communications. In no instances do we sell your information onto other third parties. CARE Australia does not use your data with third parties to undergo ‘wealth screening’ activities. CARE will only use and disclose your personal information in accordance with the Privacy Act and the Australian Privacy Principles. This may include where use or disclosure is required by law, where we have your consent to the use or disclosure, or for the purpose for which it was collected or related purposes that you would reasonably expect CARE to use or disclose that personal information. With our marketing partners to help call donors for their support. 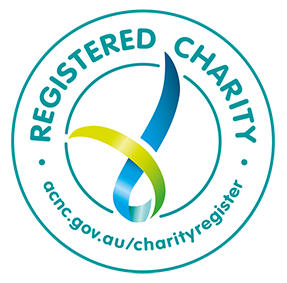 Please be aware that although charities are exempt from the “Do Not Call Register”, we have chosen to respect the principles behind this register and advise our third parties not to call anyone listed on the Register. With your financial institution in the case of direct debit or some credit card transaction issues. With your employer if you have participated in a fundraising activity as part of a corporate or office team. Please note, the above list is not exhaustive, but to repeat, these organisations are also bound by the Australian Privacy Principles. CARE may also use and disclose your personal information to overseas providers such as cloud service providers. Before we send your personal information overseas, we will take reasonable steps to ensure that the recipient will not breach the Australian Privacy Principles, including contractual obligations to treat your personal information in substantially the same way as required under the Australian Privacy Principles. For any other circumstances where we need to disclose your personal information overseas, we will expressly inform you of the disclosure and obtain your consent. CARE aims to ensure that the personal information we hold about you is accurate, complete, up-to-date, relevant and not misleading. However the accuracy of this information is largely dependent on the information you provide. You have a right to access, update and correct personal information that CARE holds about you. We want to hear from you. Enquiries or concerns about privacy matters, including complaints about how CARE handles personal information and concerns that CARE has breached the Australian Privacy Principles, should be made in writing as detailed below under the heading “Contacting us”. CARE will respond to all enquiries as quickly as possible. We normally have a very fast turn-around so if you’ve not heard back, feel free to call us. you believe that your privacy has been breached, or if you believe that CARE has breached the Australian Privacy Principles or the Privacy Act, and you wish to make a complaint. Telephoning: 03 9421 5572 between the hours of 9am and 5pm, Monday to Friday.